Kierran Broatch is a passionate and knowledgeable fisherman and advocate. He recently wrote about the proposed closing of the Kensington Fish Hatchery in New Britain, and has allowed us to re-post and help spread the word. Read more from Kierran on his website The Connecticut Yankee. Connecticut anglers have been down this road before and it’s time to make some noise again. Governor Malloy’s new budget includes a proposal to close the Kensington State Fish Hatchery in Berlin to save $196,000 a year. 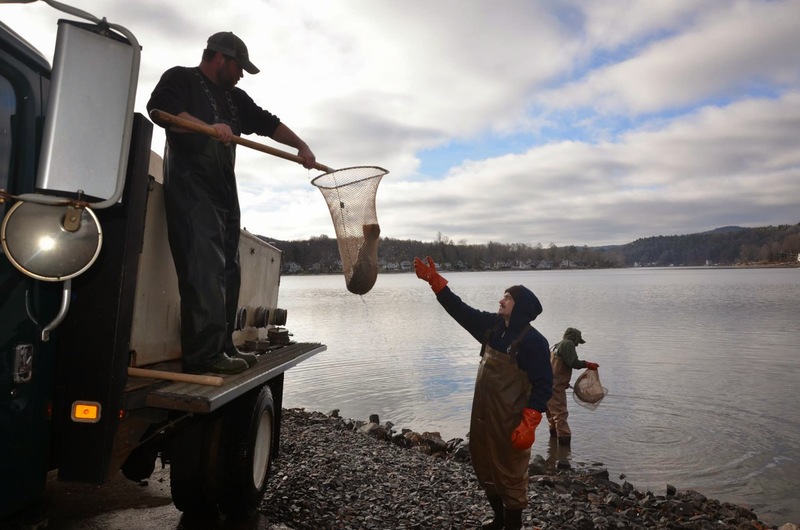 The argument against this is simple: the recreational revenue generated from fishing throughout Connecticut is significant and the value from fish stockings and unique programs that the Kensington Hatchery supports far outweighs the cost of keeping it open and fully staffed. Kensington Hatchery is unique because it is responsible for all of Connecticut’s seeforellen brown trout, a special strain of trout that grow exceptionally large. 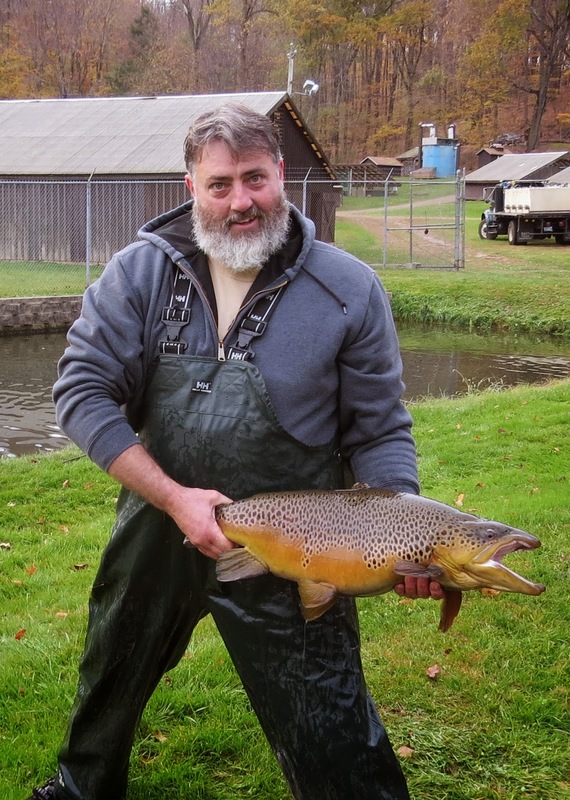 In fact, a 19-pound seeforellen trout raised in the Kensington Hatchery was recently caught in Connecticut’s West Hill Pond and is now the new brown trout state record. These fish are extremely popular and it just so happens that Kensington Hatchery has the only disease-free stock of seeforellens left in the nation. Shutting it down would mean losing the seeforellen strain in Connecticut waters and tossing years of hard work out the window. Altogether the Kensington Hatchery produces approximately 50,000 catchable size trout and 700 surplus broodstock trout annually that are stocked in our most important trout waters. In addition, 250,000 of its trout fry and parr are used annually in programs to enhance sea run trout and wild trout populations. But this is not just about trout. Approximately 2,000 broodstock Atlantic salmon are produced at Kensington Hatchery and stocked annually into the Naugatuck and Shetucket Rivers, as well as a handful of lakes and ponds. Connecticut’s broodstock salmon fishery is quite popular and attracts anglers from around the Northeast. In fact, it is estimated that Connecticut’s Atlantic salmon fishery is responsible for 5,000 – 7,000 trips per year and those anglers spend a combined $500,000 doing so. If Kensington closes there will be no more broodstock salmon stocked in Connecticut waterways! Furthermore, more than 500 student classrooms throughout the state are currently part of either Salmon in the Classroom or Trout in the Classroom programs. These are highly educational and beneficial programs that are run and funded through volunteer cooperation, teachers and students, and CT DEEP, which provides eggs for these programs from the Kensington Hatchery. Educational programs such as these should be encouraged and increased rather than eliminated. 251,000 state residents take 5.4 million fishing trips and spend $198 million per year. 51,000 non-residents take 457,000 fishing trips and spend $45 million per year in CT. Recreational fishing supports over 4,400 jobs in CT.
Trout are the most sought after gamefish species in Connecticut attracting approximately 2.1 million fishing trips per year and generating ~$50 million per year in annual expenditures having a net economic impact of $67.5 million per year. Approximately $2.8 million in annual license revenue is generated by trout anglers in Connecticut. Approximately 100 lakes and ponds and over 200 rivers and streams are stocked annually with trout. 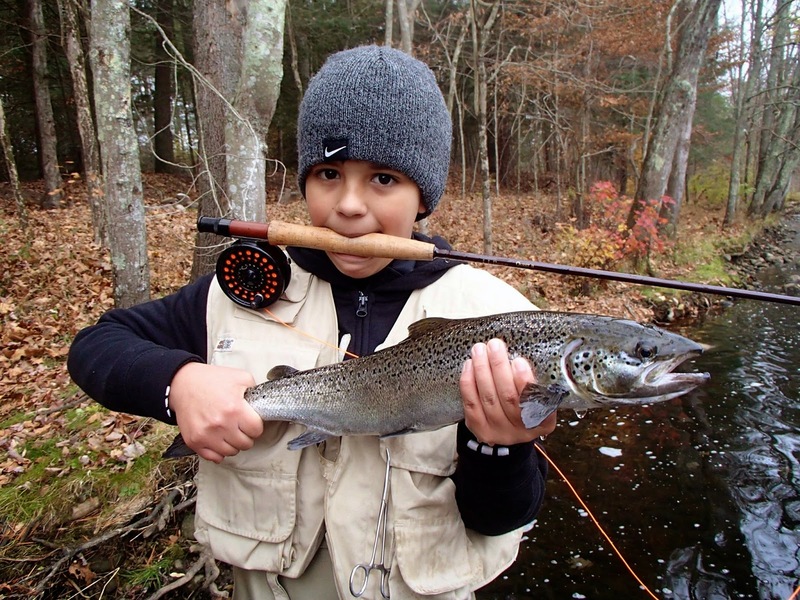 The overall benefit to cost ratio for Connecticut’s Trout Program is 25 to 1. If you are a Connecticut resident that purchases a fishing license each year and supports seeforellen brown trout, broodstock salmon, or the Trout/Salmon in the Classroom program, please consider calling and/or emailing Governor Malloy, your state reps & senators, and the Appropriations Committee about keeping the Kensington State Fish Hatchery up and running. Thank you.